Yago García-Rodeja and Israel Fernández (Univ. Complutense de Madrid), Miquel Solà from the Institute of Computational Chemistry and Catalysis (IQCC) and F. Matthias Bickelhaupt from the Department of Theoretical Chemistry and Amsterdam Center for Multiscale Modeling (ACMM) in the Vrije Universiteit Amsterdam (usual collaborator of the IQCC) have studied the influence of the encapsulation of an ion inside the C60-fullerenic cage on the Diels-Alder reaction between 1,3-cyclohexadiene and M@C60 (M = Li+, Na+, K+, Be2+, Mg2+, Al3+ and Cl–) by means of Density Functional Theory calculations and activation strain analyses. 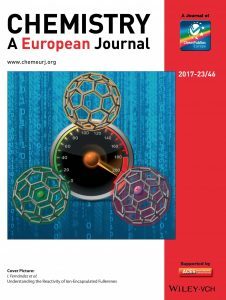 They have found a significant enhancement of the Diels-Alder reactivity for those systems having an endohedral cation whereas a clear reduction of the reactivity is observed when an anion is encapsulated into the C60-cage. 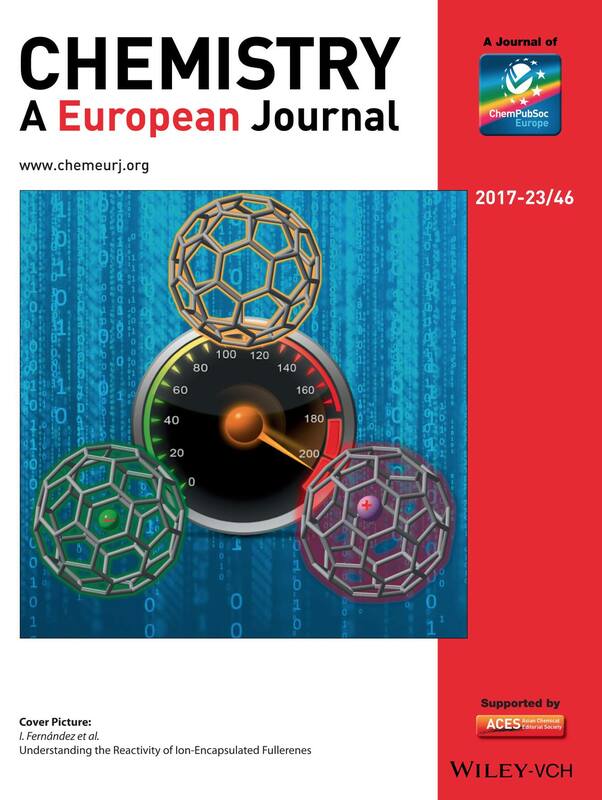 This enhancement is mainly the result of higher orbital attractions between the reactants (and less destabilizing Pauli repulsion, albeit to a much lesser extent), which in turn, derives from a stronger π(diene) → π*(fullerene) molecular orbital interaction.